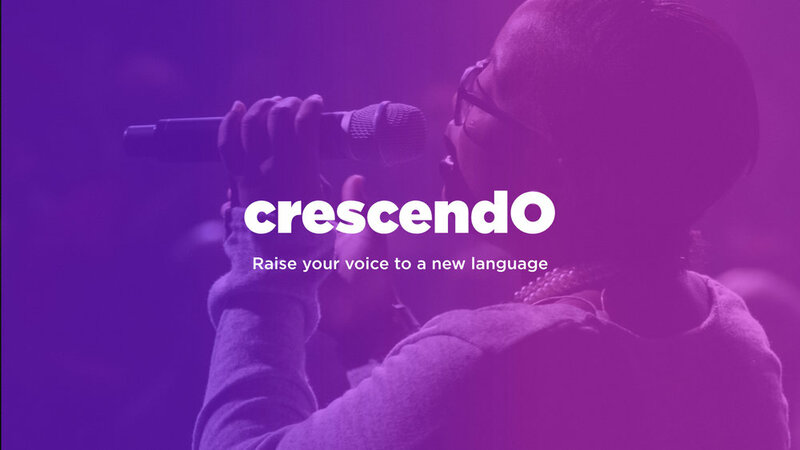 Crescendo is an app and website to learn languages through singing songs. This product currently in development at GroundFloor Incubator. How can music help us learn languages? We harness the fun and the challenge of singing a song and turn it into a learning experience. Think back to when you were a child, learning the alphabet. The alphabet is an arbitrary sequence of 26 letters, and yet children can learn it because we’ve put it to music. Music can help us engage with both areas of the brain. It helps us with memorization, especially through the qualities of repetition and melody. Similarly, music can help us remember the phonetics of words. Finally, music gives context to the lyrics and makes us feel emotions; it can help us feel engaged, more relaxed, and connected. We are creating a web app for people to use in their phones or in groups as a fun activity for a classroom or in a gathering with friends. My role: designer lead, design researcher, UX-UI designer, ethnographic researcher, branding designer, illustrator, logo designer, presentation designer. This project is an extension of Karaoke Club.